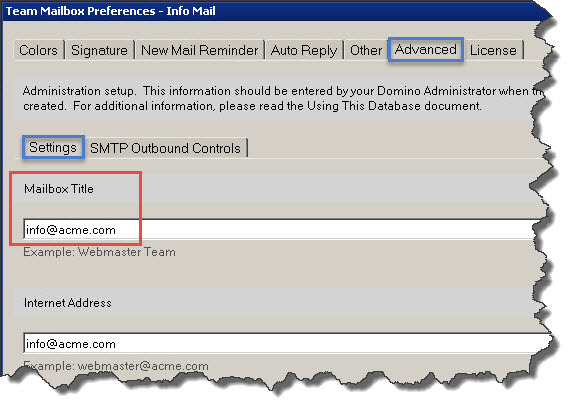 I am a faithful user of the DominoTeamMailbox (created by Brian Green) available at OpenNTF.org. In recent attempts to send mail from the database, the delivery is stopped (usually by large email providers like yahoo and gmail). SOLUTION: Use the email address as the mailbox title.